American Golf, Europe's largest golf equipment retailer, is taking its equipment on the road. The retailer has equipped two tour trucks with FlightScope X2 launch monitors that it uses to travel and visit a different retail location each day. 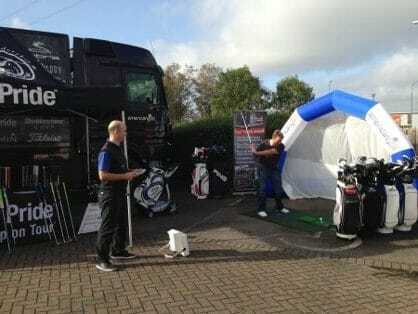 The trucks allow the company to further increase customer experience by providing state of the art equipment when club fitting. In addition, the retailer has equipped several of its premier stores in the UK with FlightScope's Xi+ launch monitors.